Putting together a nursery is so much fun. Planning out the nursery was one of my favorite parts of my pregnancy! I’ve always been into interior design, and it’s an awesome opportunity to go all-out and design a cute little room for your child to sleep in. There are so many cute options, and it’s just so much fun to plan out and buy all of the different pieces of furniture and bedding. This guide will tell you what you need to get for your nursery, from where to sleep, to furniture, to storage and safety! 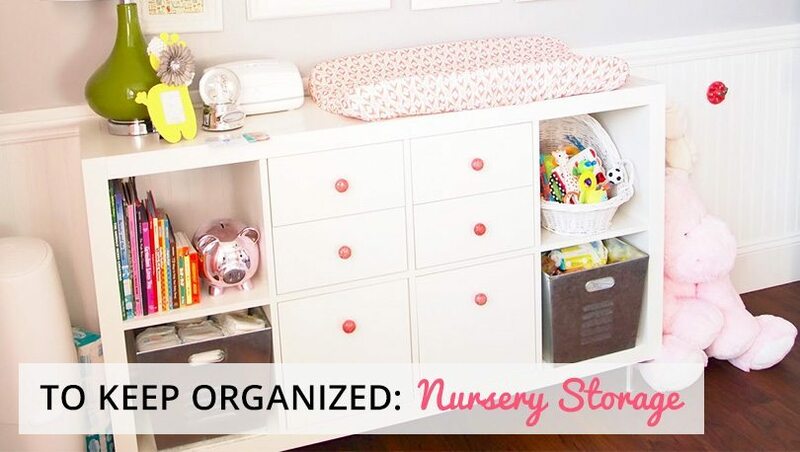 Please note: this won’t cover non-nursery essentials, but I have a guide for that right here! 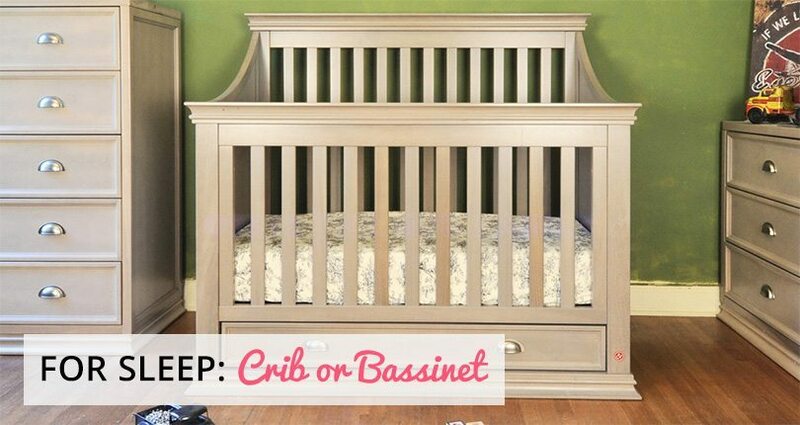 You have two choices: either a crib or a bassinet. I have a comparison of cribs vs. bassinets you might be interested in. If you get a bassinet, they’ll only be able to use it for about 6 months before they outgrow it. It’s main benefit is that you can wheel it around easily, and move it into your bedroom if you want to co-sleep. A crib is a much more long-term purchase. They’ll be in it every day for years, and if you go with a convertible crib, even longer than that. Convertible cribs can be changed into a toddler bed and even a full-sized bed eventually. If budget is a concern, a bassinet definitely isn’t necessary at all. When shopping for a crib or bassinet, I’d strongly recommend only buying new. Safety standards change all the time, and used cribs sometimes have issues that make them unsafe. If you’re a stickler for vintage furniture, please make sure that the antique crib is safe. Drop-side is a no-no, and should never be used. 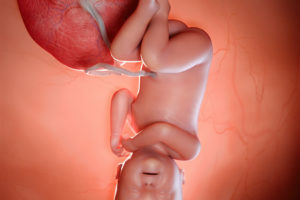 Also, be sure to check the CPSC recalls database to make sure your particular crib hasn’t been recalled. Read my full guides: New Mom’s Guide to Cribs & New Mom’s Guide to Bassinets. You might not know it, but the crib mattress is an important purchase. It’s not as easy as just walking into the store and picking whichever mattress is cheapest! A bad mattress could actually be unsafe. For example, 2 very popular Ikea crib mattresses were recently recalled due to children getting trapped between it and the crib. Another concern is the firmness of the mattress. Generally, the firmer the better, and some studies have shown that a firm, hard mattress has a significant effect on reducing SIDS. Finally, some parents worry about the potential off-gassing of the chemicals used in many crib mattresses. 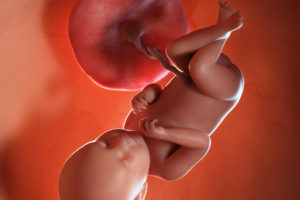 While it’s not proven that this is a risk, you might want to consider an organic crib mattress. If you get a crib mattress that isn’t 100% water resistant, you’ll want to get a waterproof mattress pad to put on top of it. It makes the whole pee accident experience much easier to deal with. Instead of absorbing into the mattress and potentially getting into nooks and crannies that are hard to clean, you just wipe the pad down or maybe put it in the washer, and it’s as good as new! What better way to cutesy-up your crib than with some nice sheets? It’s more complicated than that, though: some sheets are more warm than others, and some parents prefer to go with organic cotton sheets as opposed to those made of polyester or other synthetic materials. Did you know that air that’s too dry will promote the growth of bacteria and viruses? If your home is dry, especially in the winter, you should seriously consider getting a nursery humidifier. 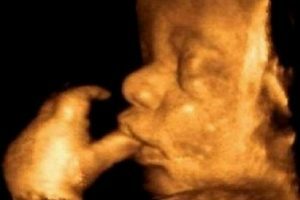 There are some great options available, and even cute ones that look super nice in a nursery. With safety features like auto-shutoff, and relatively cheap prices, there’s no real reason not to get one. 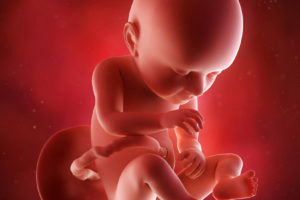 They’re also great for helping keep baby’s sinuses cleared up, which will keep them from getting sick, but also helps them sleep better at night. 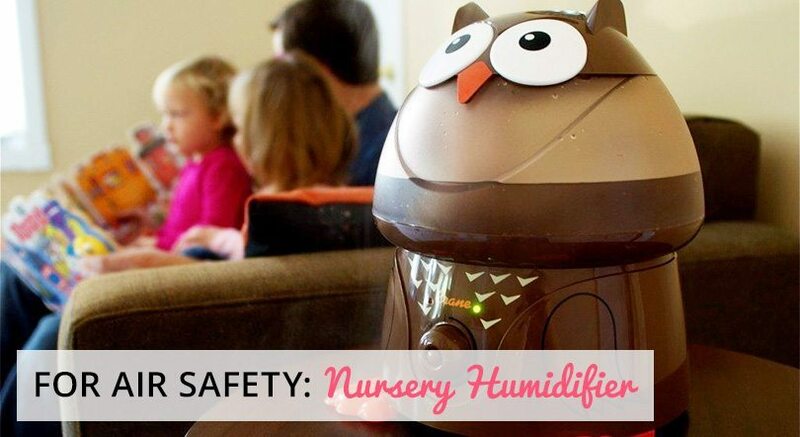 Many babies sleep more soundly with the soothing white noise that humidifiers make, too. There are two main options here: either a dedicated changing table, or a changing pad that goes on top of existing furniture. It depends on how much space you have in the room, as well as if you want to have multiple storage spaces. 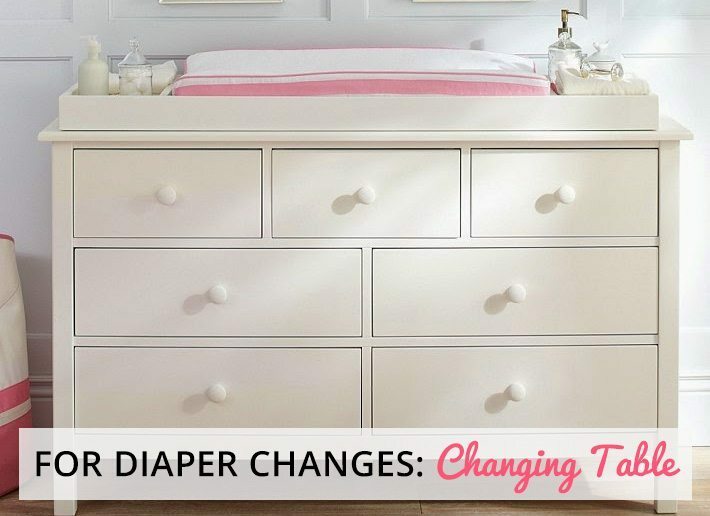 Personally, I don’t think a changing table is necessary, but some first-time parents prefer them because they make the whole diaper-changing experience quicker and less stressful. Plus, you can get one that’s the right height for you, so you don’t have to bend down too far to change diapers. Another benefit of changing tables is that they usually let you store everything you need for the change right in the table, so it’s always on hand. A changing pad is a cheaper option, and it’s a lot more flexible. You can just throw it on top of your existing dresser, or a table, or anywhere else. That way you’re not confined to changing diapers right in the nursery, and to be honest, you’ll probably find yourself changing them all over the place. Let me start by saying that these aren’t 100% necessary, but they’re really helpful. You’re going to be up at weird hours of the night for the first few months for feedings and diaper changes. It’s just inevitable. I recommend getting a nursing (glider) chair. 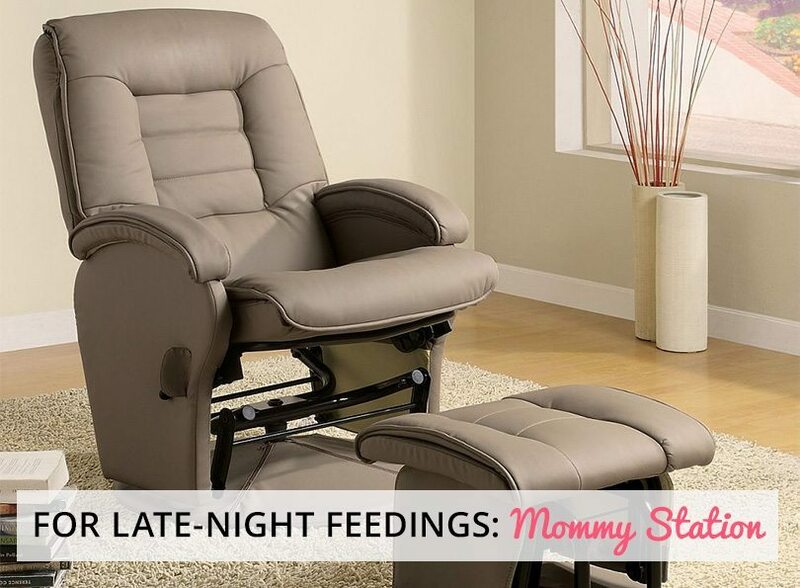 The beauty of a nursing chair is that they’re really comfortable and convenient to sit in while you feed, or just sooth your child. Get one with a foot rest and make sure it’s really comfortable. You might want to consider getting a small side table to put beside it, where you can put your phone, some reading material or a glass of water. Some people consider these a luxury (and I’m one of them) but if you can afford it, it’s well worth equipping your nursery with one. It’s one of those things that you really appreciate once you use it a few times. A baby monitor is the perfect way to keep an eye on your child while they sleep at night without having to physically be in the room with them. Your main options here are either an audio-only or a digital video monitor. Audio-only monitors are a lot cheaper for the most part, but after using a video monitor, I wouldn’t want to go back. Being able to actually see them as opposed to just hearing them is a lot more comforting to me. A high-end, fully-equipped monitor will even be able to pan and zoom by remote control, and let you see them at night with night vision, so they’ll really never be out of your line of sight. A good option is to get one with multiple receivers, so you can keep one in your bedroom and carry one with you during the day, or keep it in the living room or office. You can’t throw soiled diapers into the trash. I mean, you can, but they don’t do anything to contain the smell, so your nursery is going to end up smelling like one big dirty diaper. 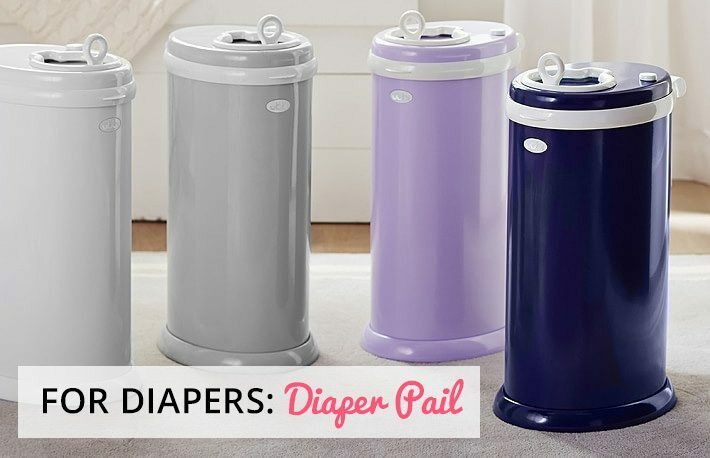 The best option is to get a diaper pail to keep them in. They’re a great way to deal with diapers, and models like the Diaper Dekor can be used with just one hand. You push the diaper through a storage ring that keeps the smells in, and it falls into a plastic bag. Then, when the bag is full, you can take it out sealed, and dispose of it with the rest of the trash. Some people will tell you that a pail isn’t necessary, but I think they’re well worth it. They’re not even that expensive, and some of them look super cute. I love mobiles. You know what they are: they hang above the crib and offer both entertainment and a calming effect to your baby. Imagine being a baby stuck in your crib all day staring up at the ceiling. A little entertainment would probably be well-appreciated, right? Some mobiles play music, which are the ones I personally recommend. Just make sure that you get one that’s battery-powered, not one that has to be cranked up to work. On top of them being cute entertainment, I think they make for great nursery decor! Let’s get one thing straight: the night light is more for you than for your baby. You might think of night lights as being for kids who are scared of the dark, but that’s not going to apply to your child until their a toddler. 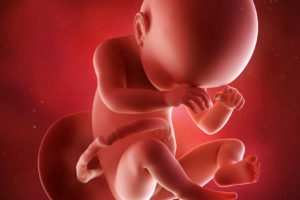 The soft light of a night light makes it much easier to traverse the nursery in the middle of the night without stumbling into furniture or tripping on things on the floor. Ideally, go with a night light that has an auto-shutoff feature. Some people believe that night lights can cause a negative health effect due to their affect on sleep patterns. Getting one that automatically turns off should eliminate that worry. There needs to be a place for all of the little baby clothes, wash cloths and diapers, bedding, toys and gear. It’s up to you to decide what the best solution is here. If you have a closet, try to make good use of it. You can also opt for dressers or full-sized armoires, or even just open shelves with boxes. If you go the open shelve route, make sure to keep the lids off so everything has easy access. You’ll appreciate it late at night. A hamper is a good idea to put the dirty clothes and wash cloths you’ll inevitably be dealing with. There are lots of different styles of hampers out there, and they’re pretty inexpensive. You’ll probably be able to find a nice one at any store. You might have a hamper in the house somewhere already, but nothing beats the convenience of having one right in the nursery. Putting together your nursery should be one of the most fun things you do during your pregnancy! If you have any questions, please feel free to ask me in the comments section below!